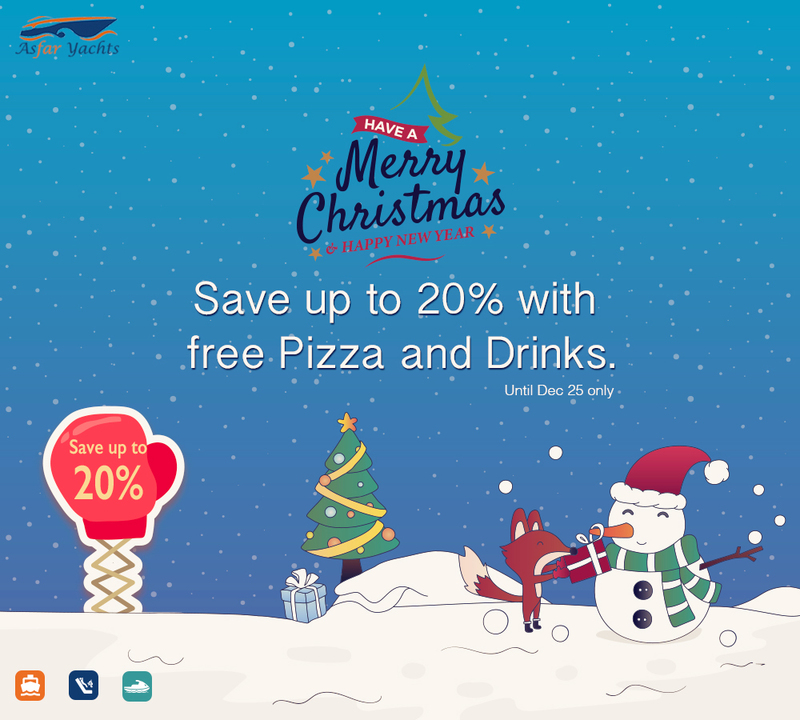 On Christmas, the event marks the beginning of the festive season. 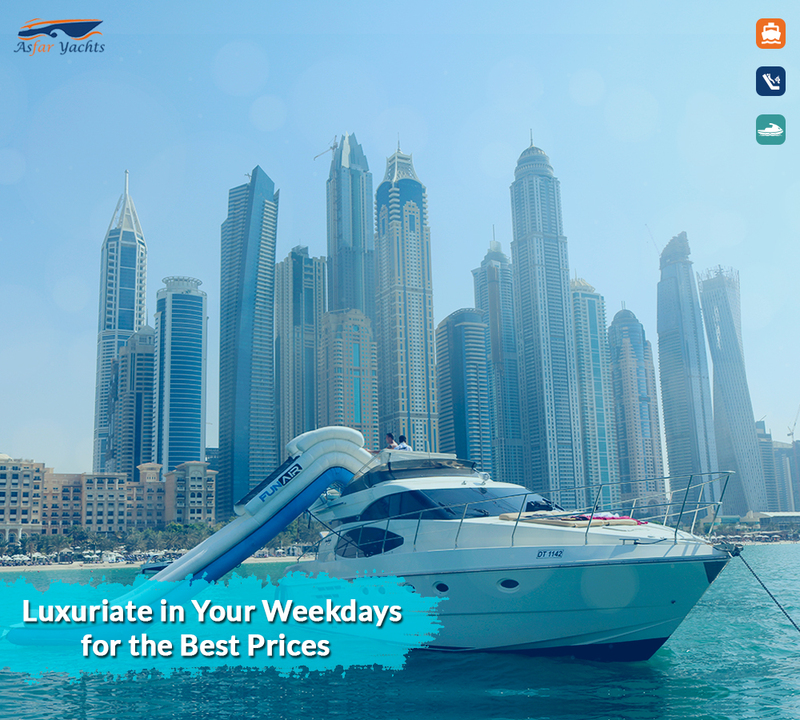 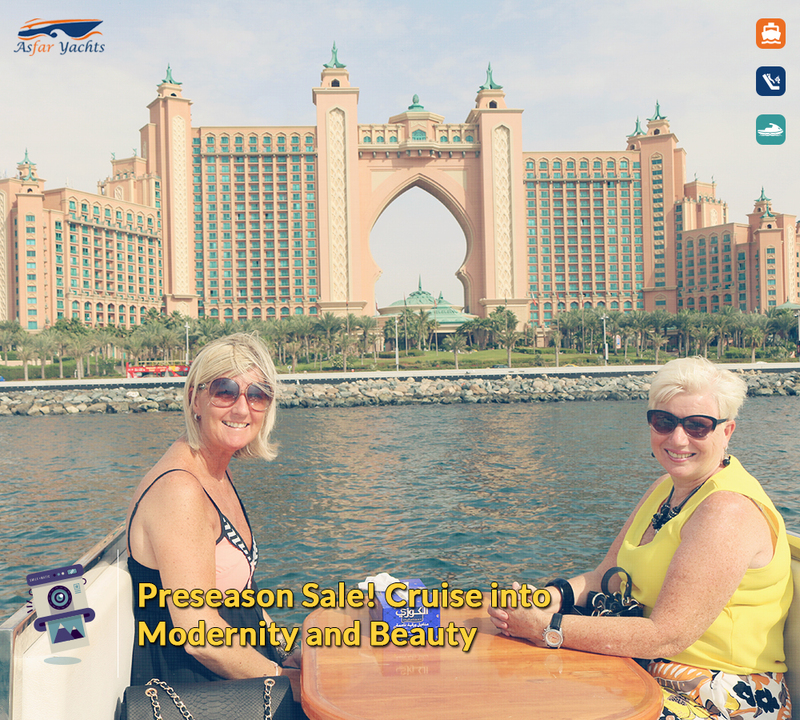 So be prepared to have your spirit attached to the heaven by the spectacular sights of Dubai shoreline. 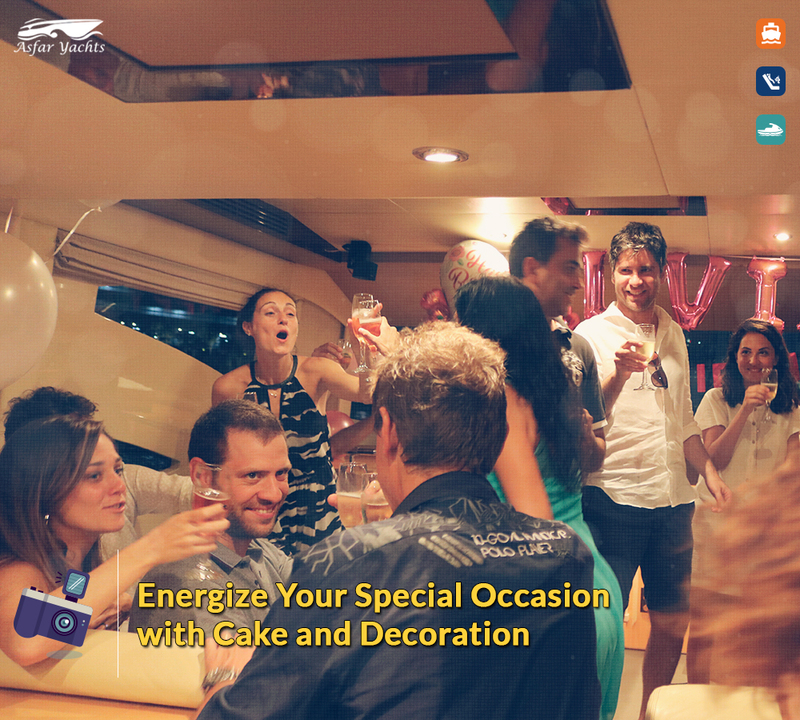 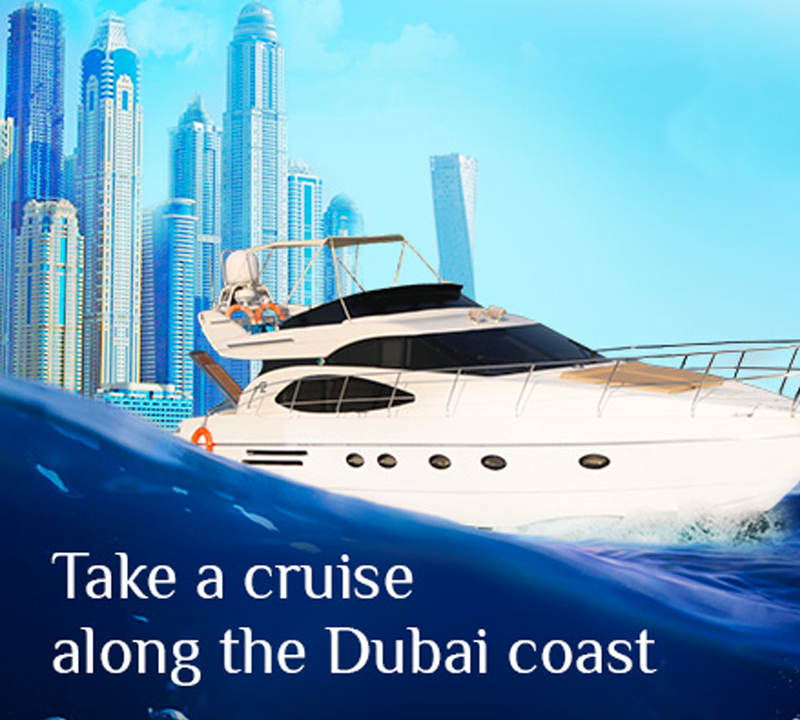 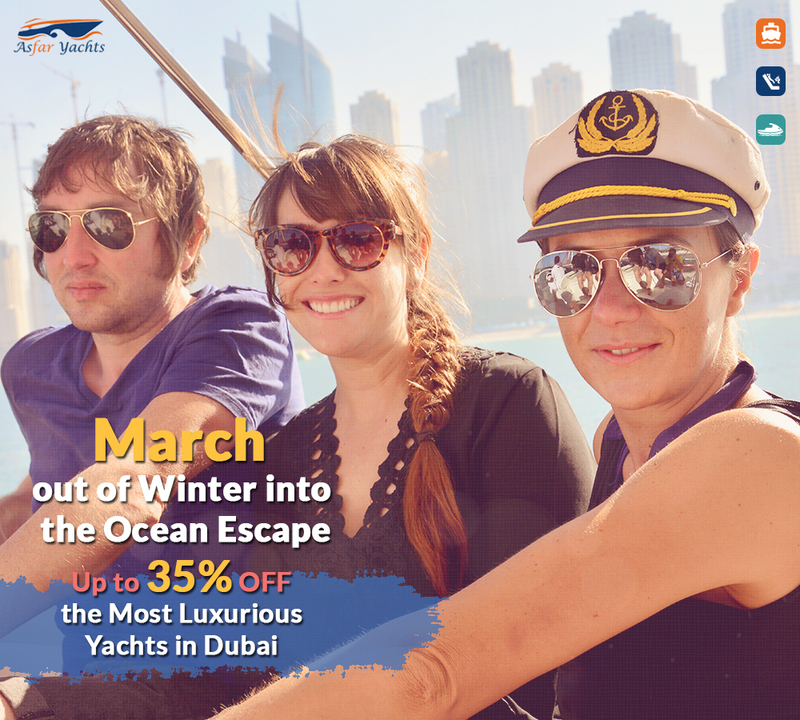 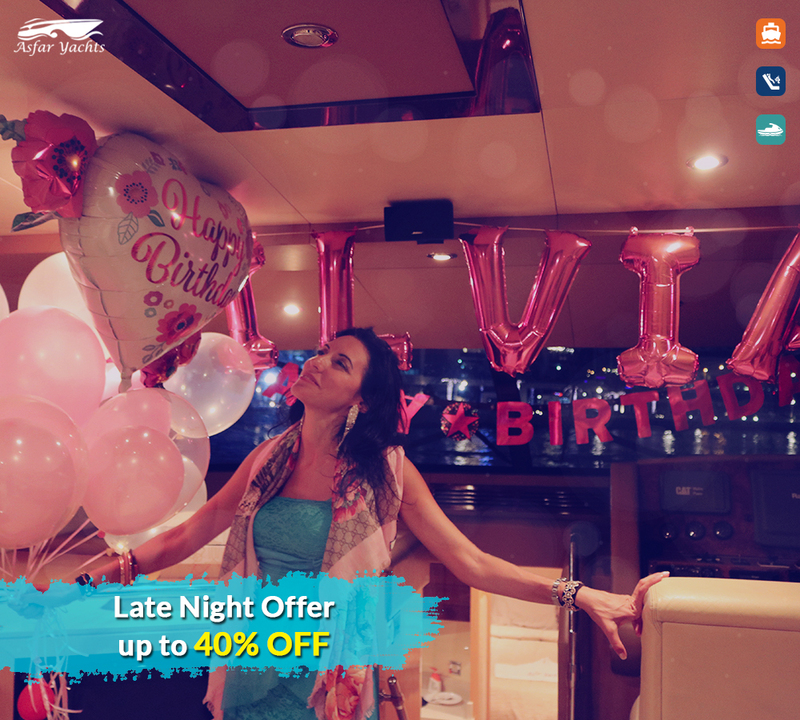 Step aboard your gleaming yacht and cut through the waves to experience the luxury and opulence. 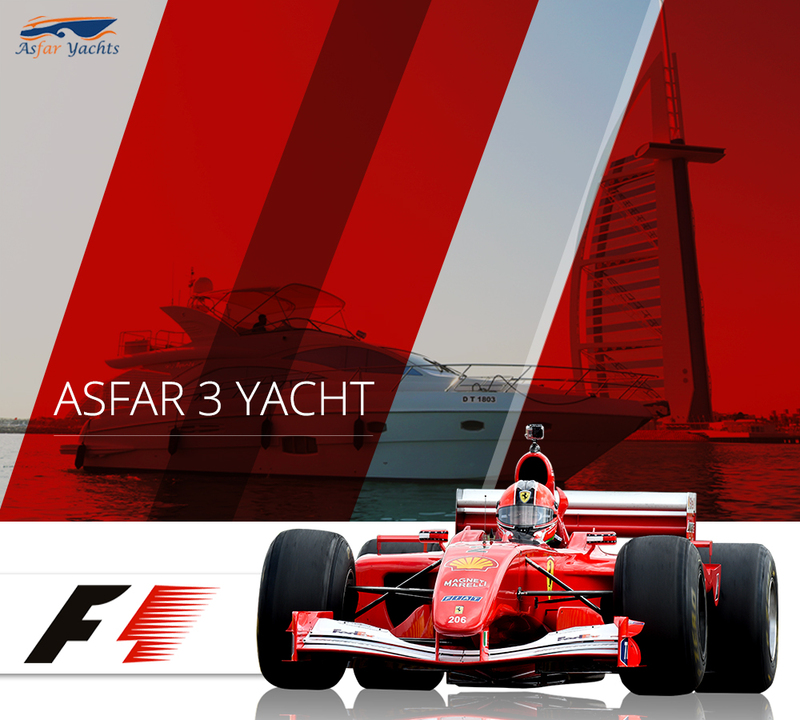 Asfar Yachts invites you to immerse in the perfect blend of nature and architecture, brimming over with life. 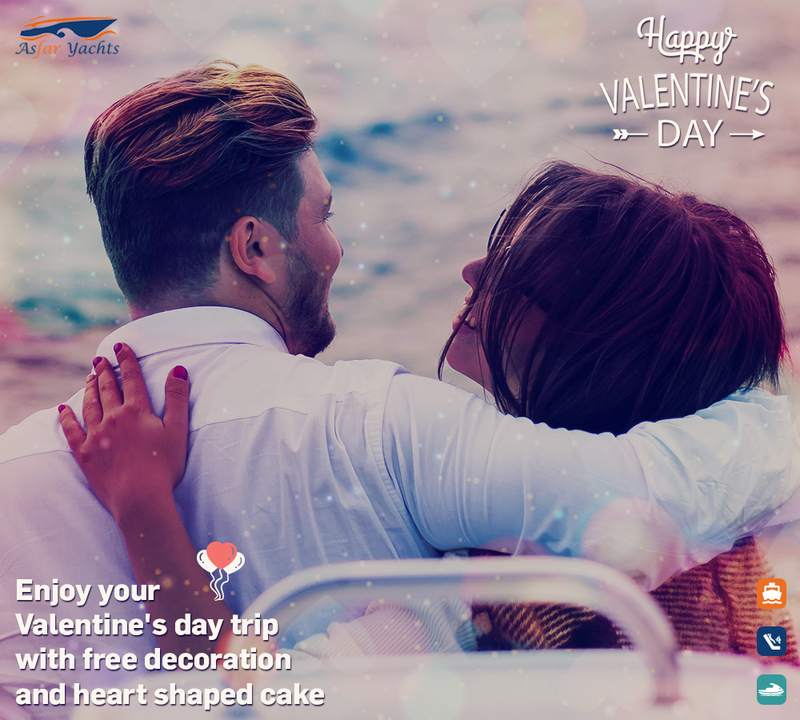 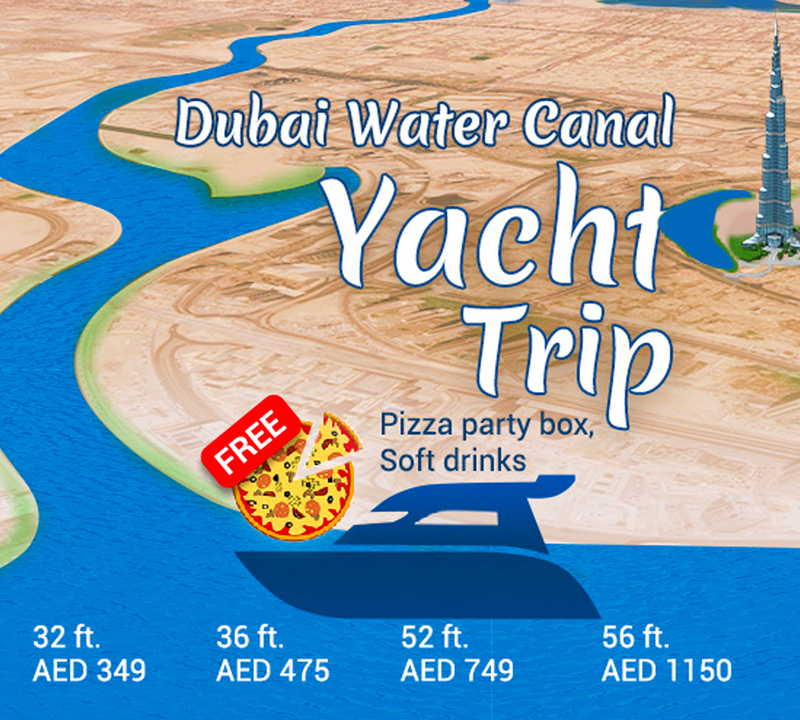 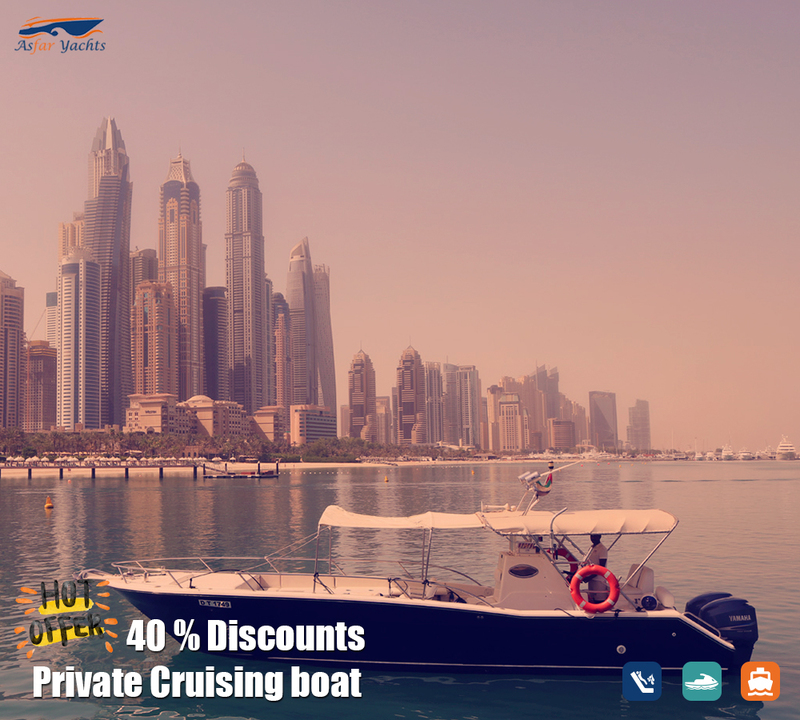 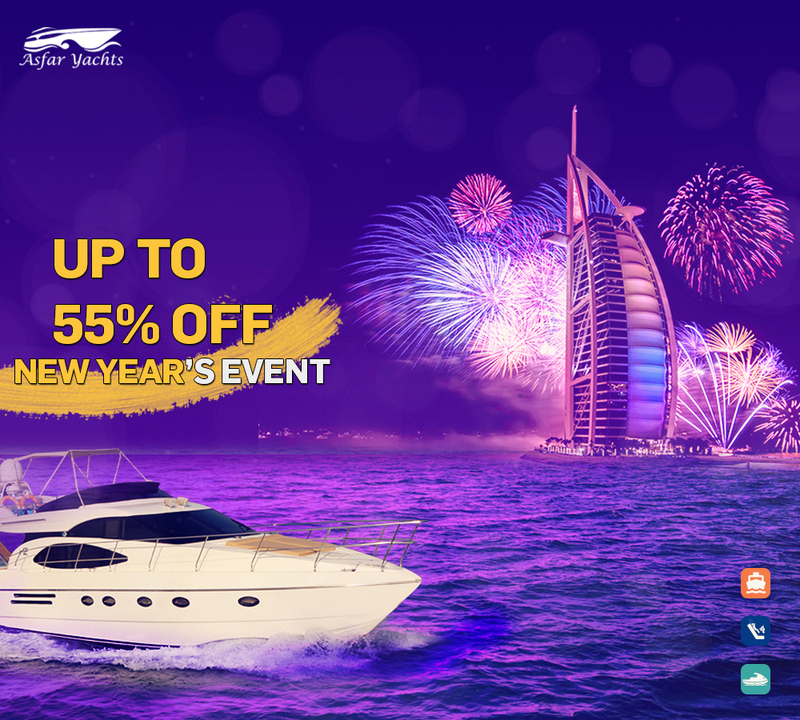 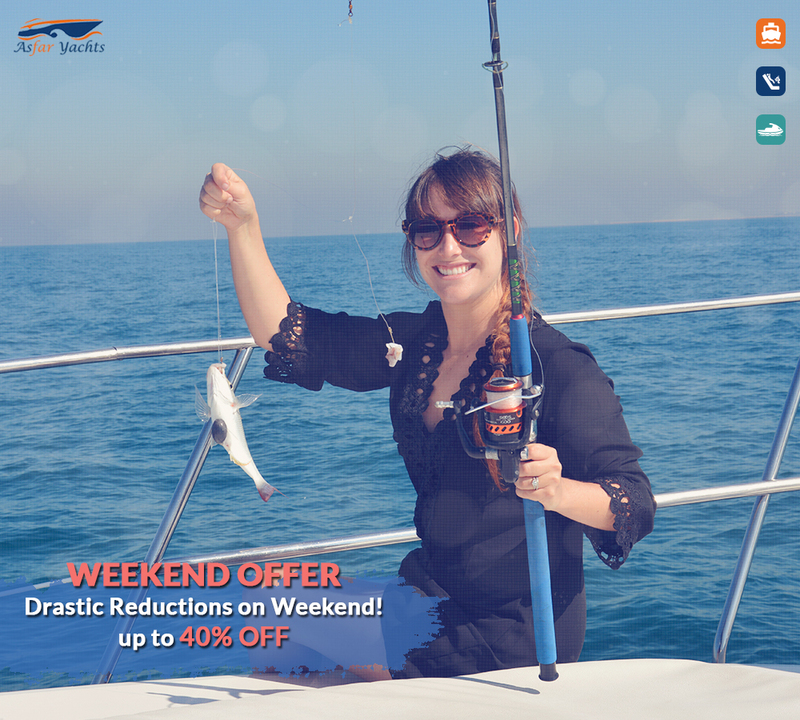 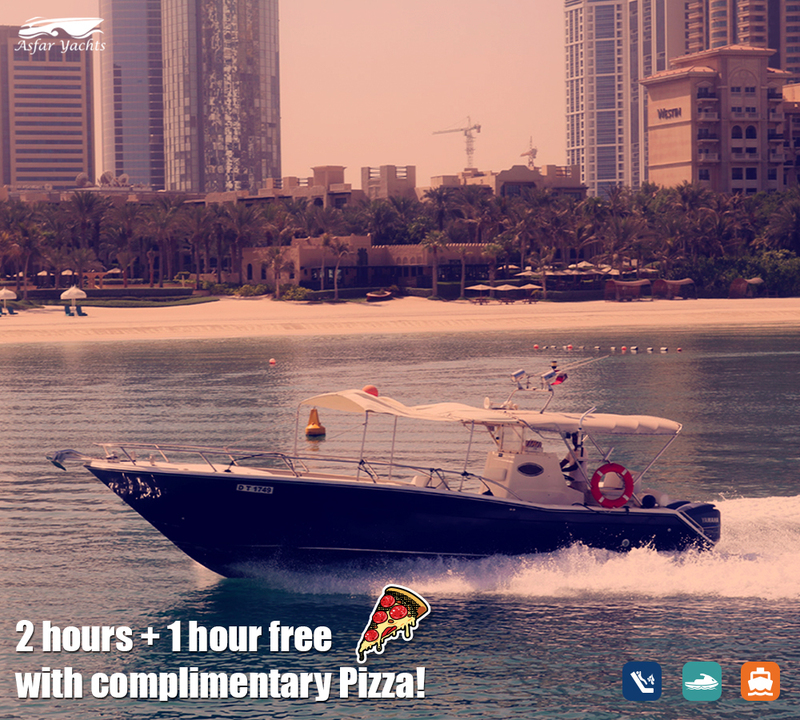 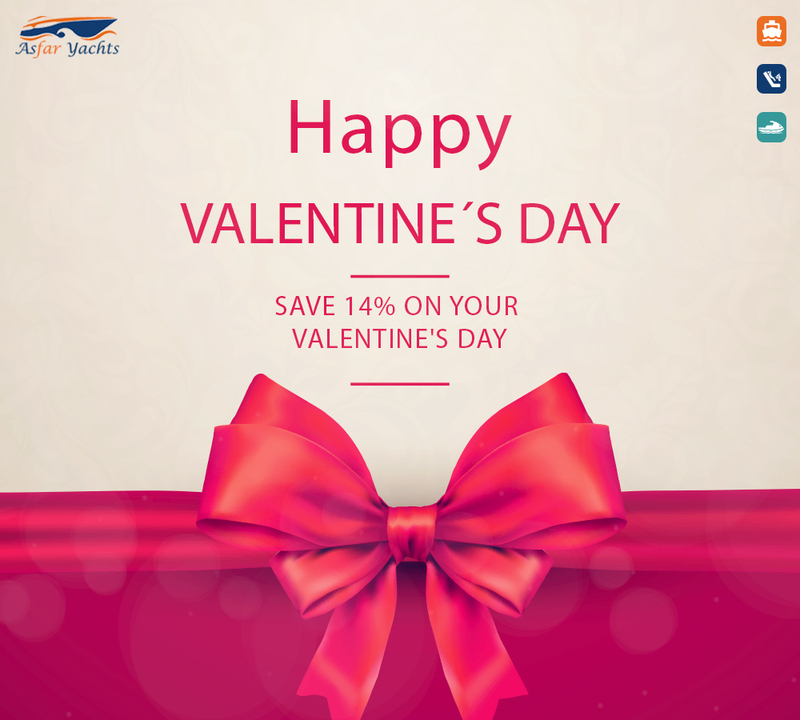 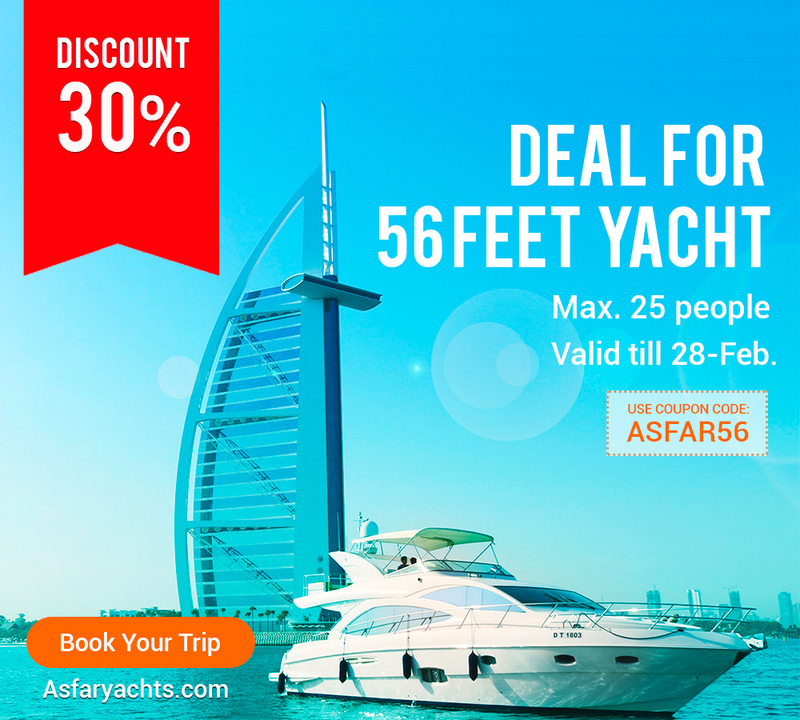 Book Asfar One 332ft that accommodates up to 10 individuals to get 15% off your cruise, in addition to free Pizza Hut and unlimited drinks. 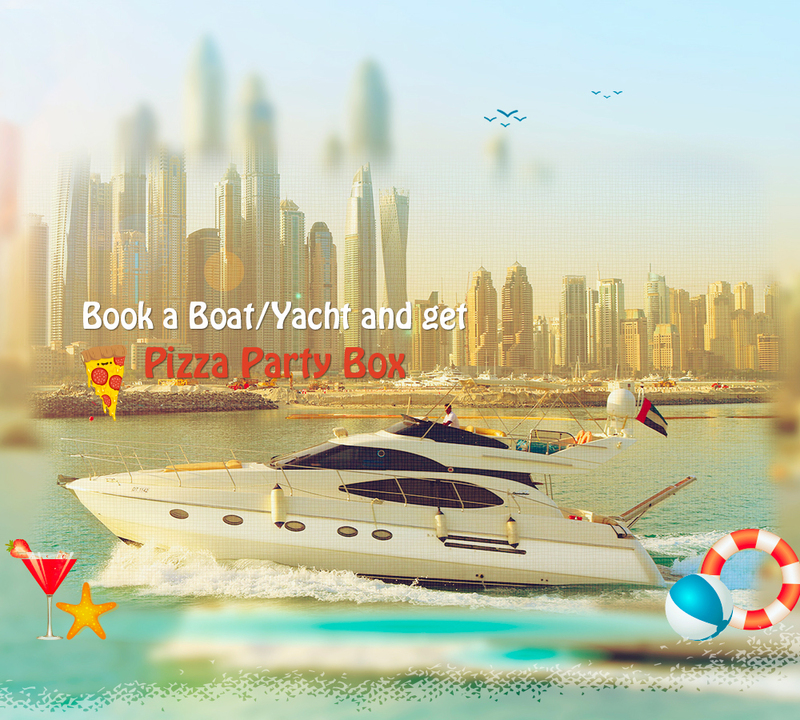 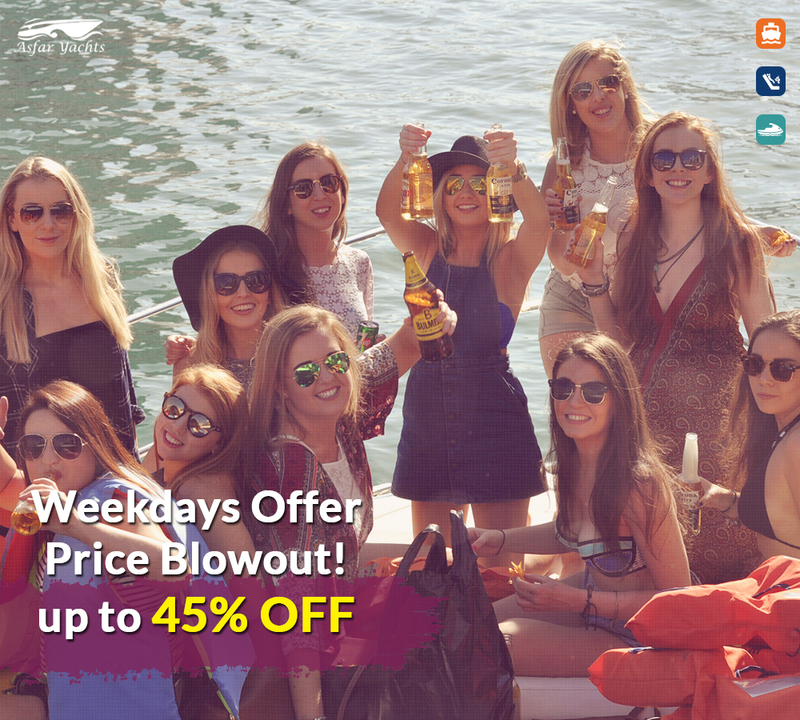 Book Sunrise 52ft that accommodates up to 20 individuals to get 15% off your cruise, in addition to free Pizza Hut and unlimited drinks. 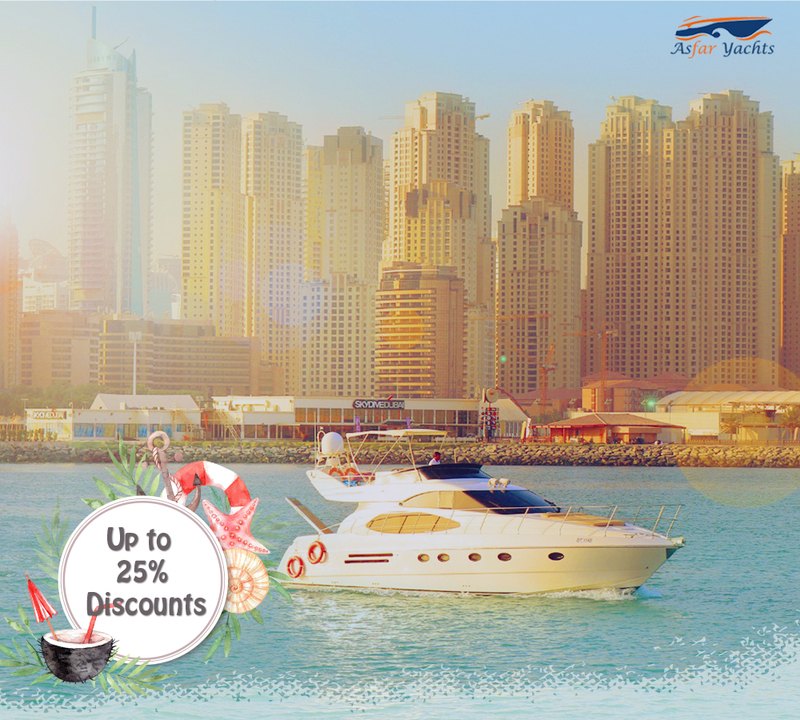 Book Asfar Two 36ft that accommodates up to 12 individuals to get 20% off your cruise, in addition to free Pizza Hut and unlimited drinks. 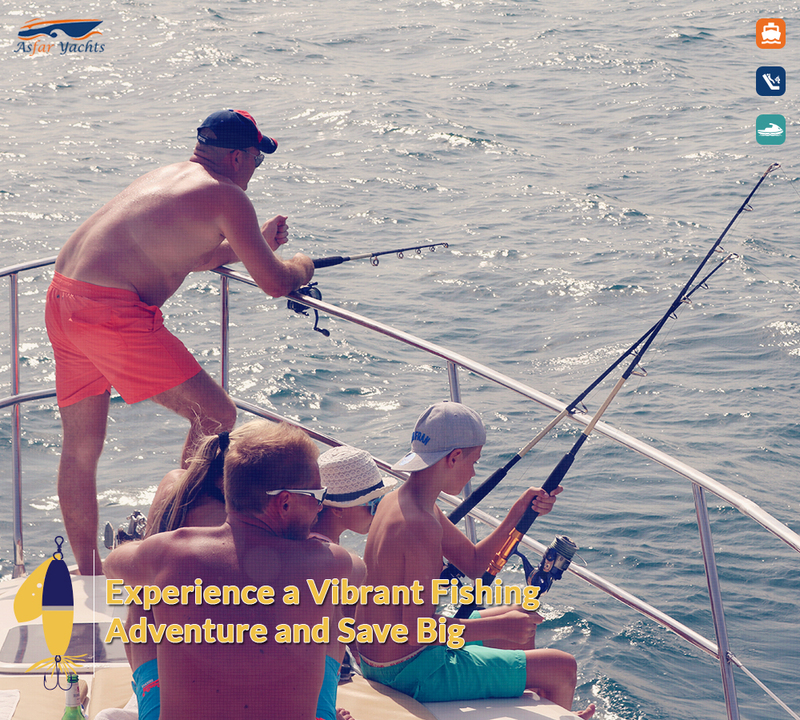 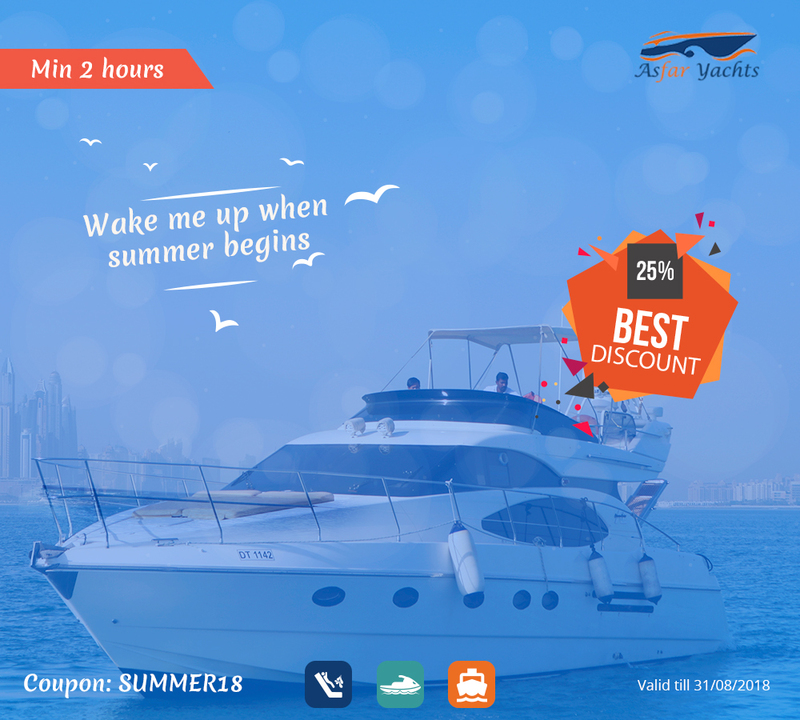 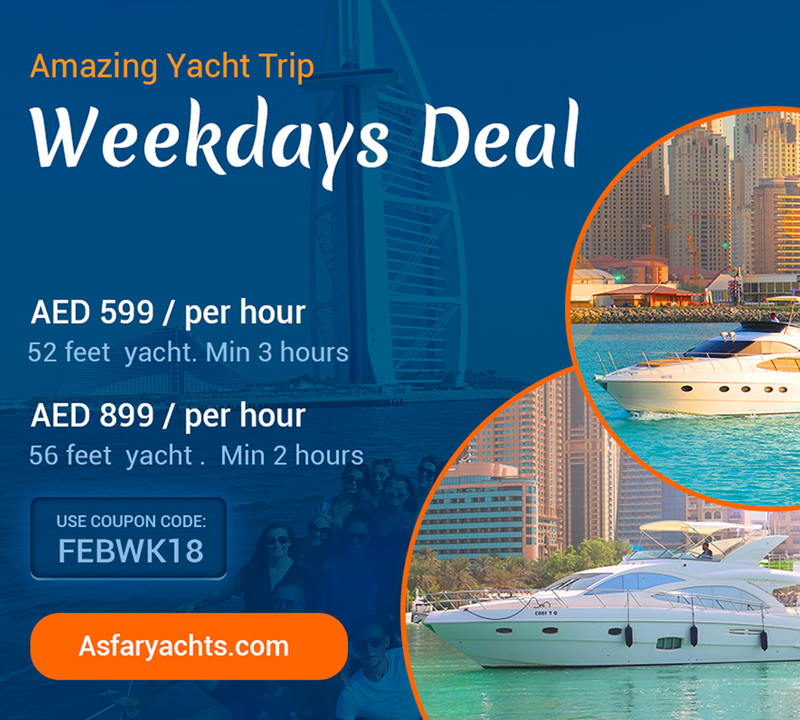 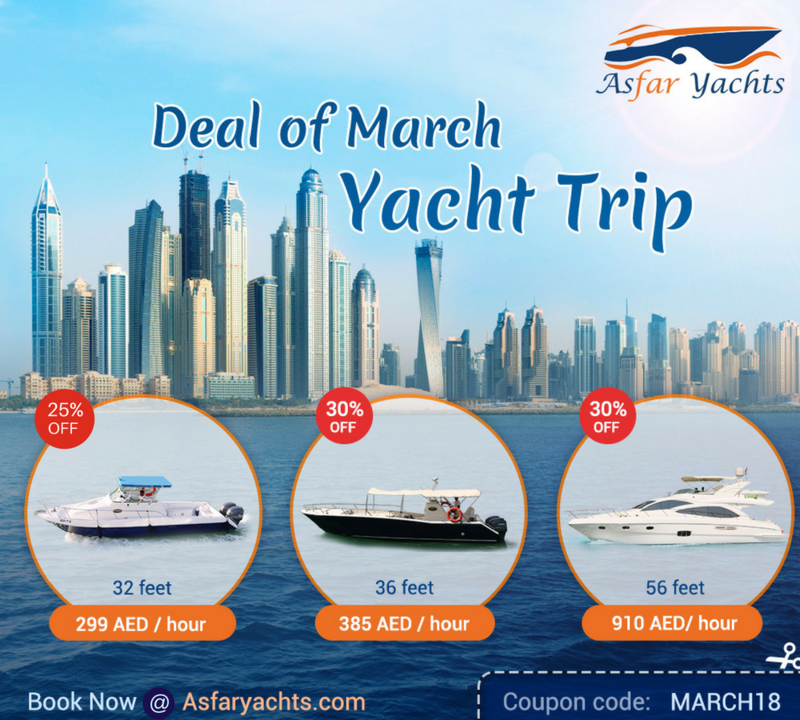 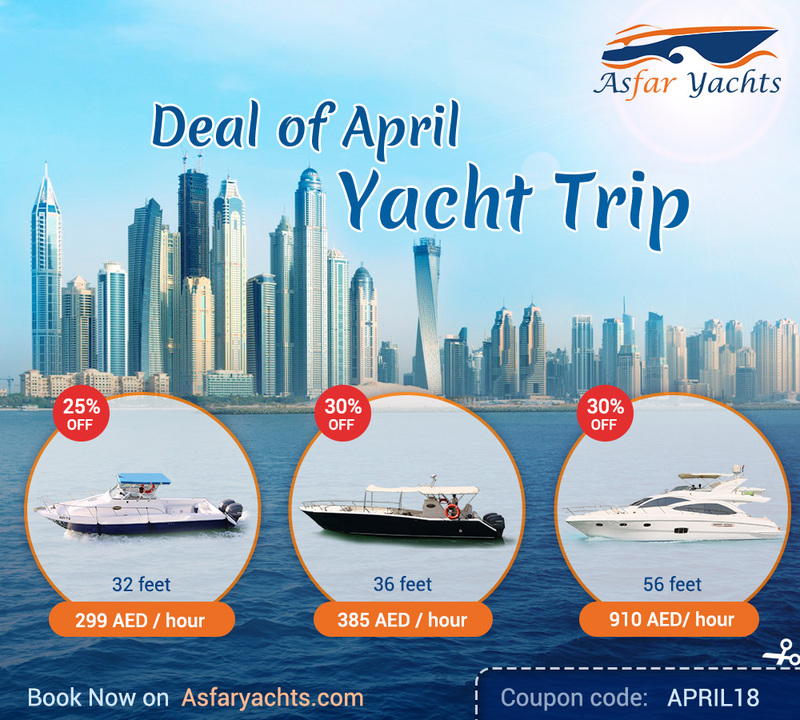 Book Asfar Three 56ft that accommodates up to 25 individuals to get 20% off your cruise, in addition to free Pizza Hut and unlimited drinks.